Albert Camus’ book ‘The Sea Close By’…. 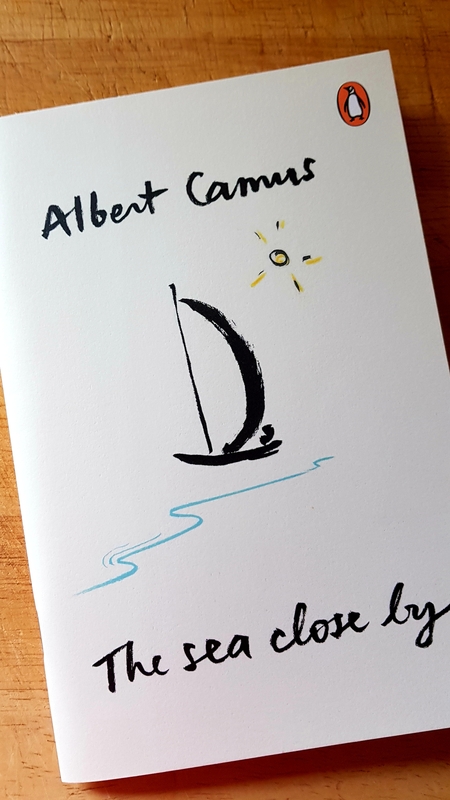 Seldom have I read an account of a place which draws one in the way Albert Camus (1913-1960) managed so brilliantly in Summer in Algiers, the second part of the tiny The Sea Close By (Penguin Classics 2013) Born in French Algeria and educated at the University of Algiers, Camus’ childhood was far from comfortable. He grew up with few possessions and worked hard at several jobs to support his studies. His memories of his homeland as well as the troubles it faced during the war in the 1950s had a profound affect on Camus and this short essay is a stunning reflection of his deep seated love and concern for Algeria which stayed with him until his untimely death. Camus continues to inspire, I finished this essay determined to take a closer and yes, more profound look at my own home town. Camus observed how the people and the landscape merge, how each have affected the other and that sense of yearning from afar. He describes the unity between the sun and the sea beautifully but for this reader it is the unity between the man and his homeland which is at the core of the essay and of life itself.